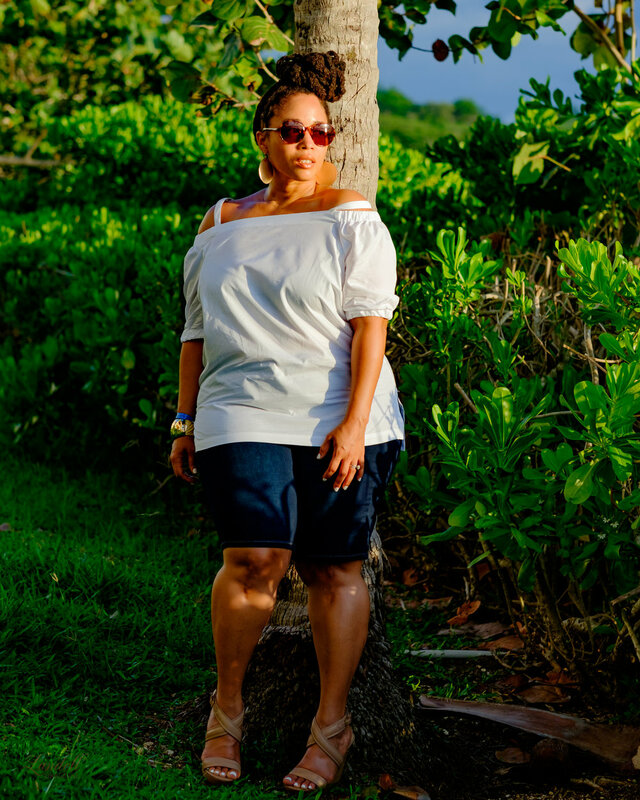 aka 'How I Styled my #StitchFix Bermuda Shorts'! 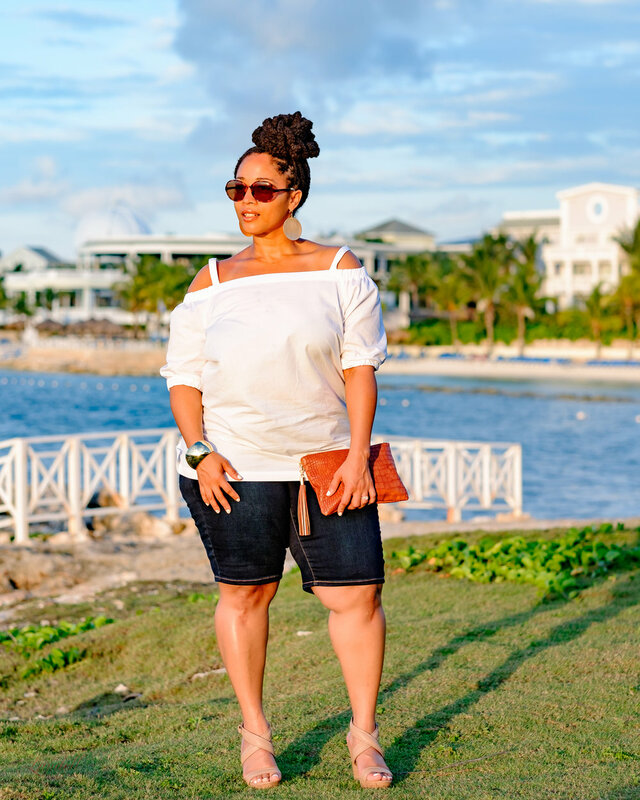 Whew chile, we've only been here three full days, and I'm having the time of my life in #Jamaica! I'm super excited, I've been waiting to tell you all about my experience with StitchFix, a monthly shopping service I decided to try out for RajdulariStyle! I'll be doing a series of shoots around all of the pieces I got from there (loved almost EVERYTHING they sent), so stay tuned throughout my Jamaica trip to see more looks! That said, first piece up are these super comfy Bermuda shorts. I usually have a hard time wearing Bermuda shorts because of where they hit my thighs. But these pair were perfect, and I was excited to get something in the mail that fit me the FIRST time I put them on! Great job, Stitch Fix! Can't wait to see what I get in next month's delivery! To check out StitchFix's awesome service, click here. Ok, I'm off to chase more sunshine, Fashionistas. Catch you next time! (See outfit deets & more pics below).